Gautam Adani's friendship with Narendra Modi is often cited as a reason for the phenomenal growth of his business empire. Another upshot is that it gives billionaire Adani the confidence to make a move as bold as filing contempt of court charges against PNGRB chairman DK Sarraf and members Satpal Garg, SS Chahar and S. Rath in the Supreme Court. 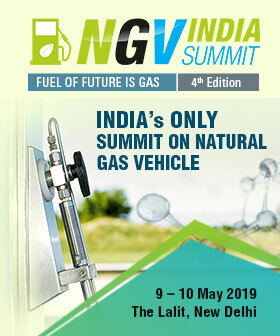 Adani Gas filed the fresh cases on March 16, 2019 after the PNGRB firmly rejected its longstanding claims to Jaipur and Udaipur. Before end-April the contempt case is expected to be heard by Justices Vineet Saran and Arun Mishra, but this is yet to be confirmed. Saran and Mishra were the two Justices that delivered a ruling on January 29 directing the PNGRB to take a fresh call on Adani's application for the two cities within four weeks. Acting on the court ruling, the PNGRB on February 28 rejected Adani"s claim for both cities, saying little progress had been made on the ground despite a No Objection Certificate issued in 2006 by the Rajasthan state government. Unwilling to accept this decision, Adani Gas accuses PNGRB members Sarraf, Garg, Chahar and Rath of ruling against the company with a "prejudiced mind" and without following the "letter and spirit" of the Supreme Court"s January 29 ruling. "Filing contempt proceedings directly against PNGRB members," says an industry source, "makes this a very personal attack against individuals." Adani Gas believes it has a "rightful claim" to Jaipur and Udaipur in line with Section 16 of the Petroleum and Natural Gas Regulatory Board Act, 2006 which specifies that companies which operated retail gas networks before October 1, 2007 when the PNGRB was set up are "deemed" or presumed to have authorisation. However, the PNGRB stands by Regulation 18 of the Petroleum and Natural Gas Regulatory Board Regulations, 2008 which states that to grant authorisation it must see that the entity has completed at least 25% of the physical work and committed at least 25% of the CAPEX identified in the DFR. Adani wants the Supreme Court to “clarify” its January 29 order and direct the PNGRB to treat its application under Section 16 and not impose new criteria and conditions under Regulation 18. “Regulations are subordinate legislation," asserts a source. "They cannot supersede sections of the Act.” Adani has filed one case accusing the PNGRB of contempt of court and a separate case seeking clarification on Regulation 18 versus Section 16.